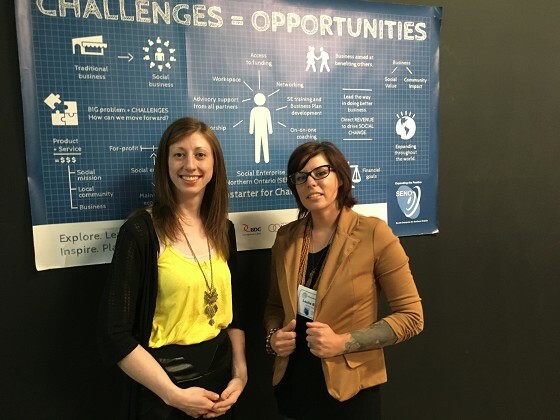 “The SENO CoStarter for Change program is pushing social, economic and environmental innovation in Northern Ontario,” says SENO CoStarter for Change Program Manager Aleksa Shermack. “Over a twelve week period, entrepreneurs use workshop and training sessions, mentoring and peer-to-peer events to develop and operate for-profit and non-profit business ideas”. Change, a sponsorship program helping women around the world sell their wares and receive fair wages.